Separated by less than 4 km and set in a strategic position about 25 km east of Knossos on the northern coast of Crete, the Bronze Age settlements of Sissi and Malia have produced extensive archaeological evidence of a prosperous occupation and an important regional role during the last 250 years of their history. 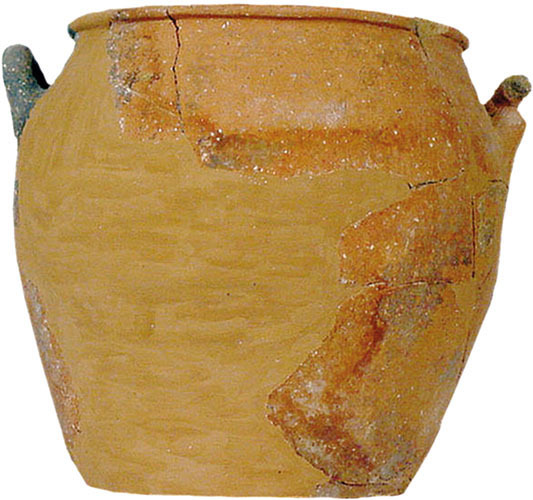 The volume, diversity, and quality of the ceramic finds reflect the diversity of social contexts of pottery consumption and wealthy trade connections during a period of critical transformations in the political organization of Crete. Through petrographic analysis of 218 ceramic samples, this article explores technological choices, local and regional types of production, and pottery import networks in the Malia region during the Final Palatial period of centralized administration at Knossos (Late Minoan II–IIIA2 [early], ca. 1460–1370 B.C.E.) and at Malia during the ensuing Postpalatial period of regional organization of Crete (Late Minoan IIIA2/B–IIIB, ca. 1370–1190 B.C.E.). The results indicate that north-central Crete played an important role as a producer and supplier of pottery under the Knossian rule. Some strictly local pottery traditions developed at Sissi and Malia toward Late Minoan IIIA2 and continued into the Postpalatial period, leading to a complex alliance of new and old Minoan traditions.